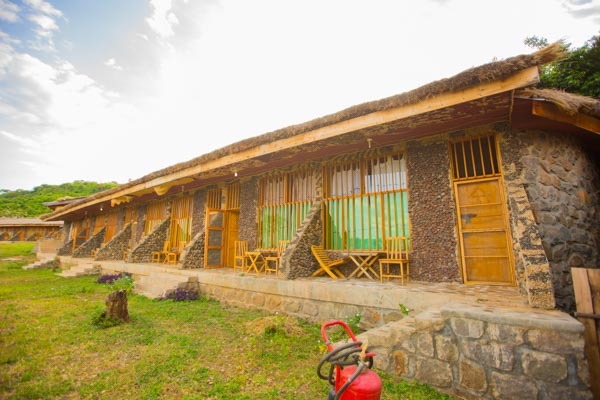 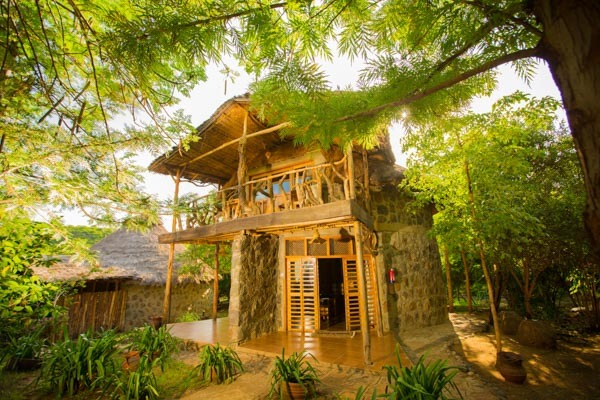 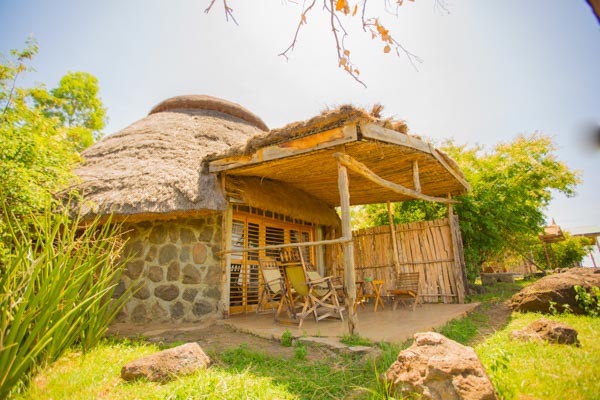 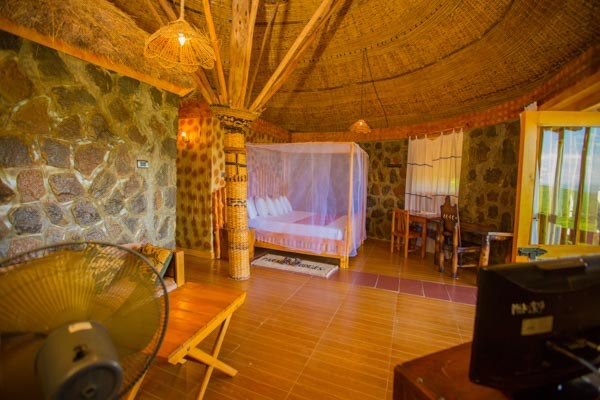 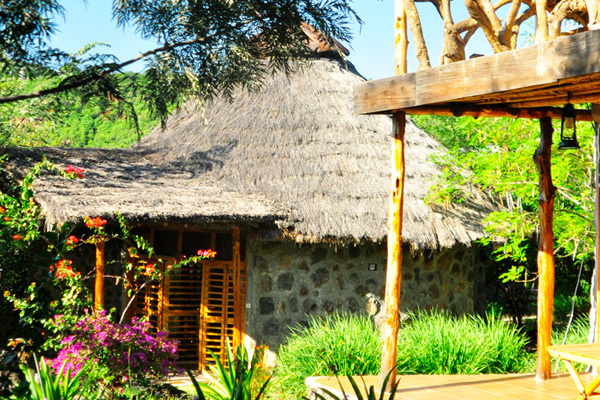 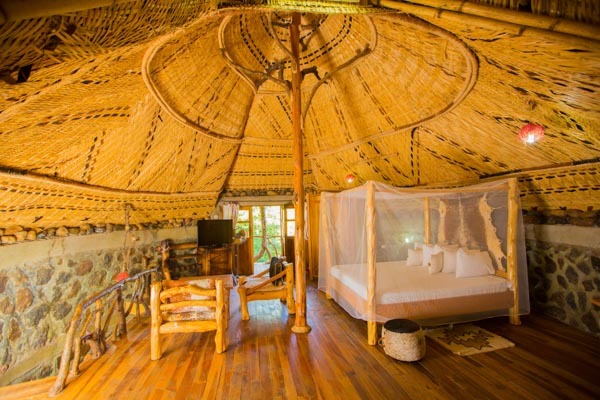 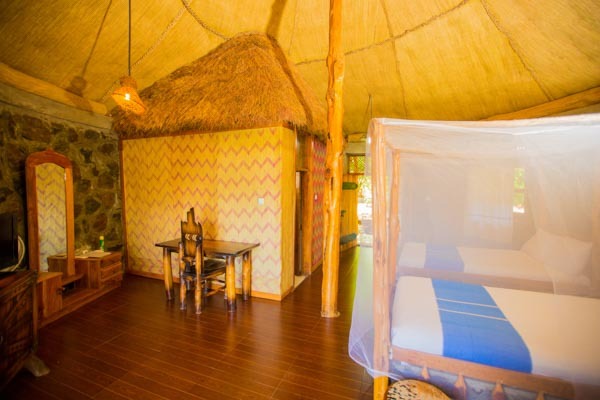 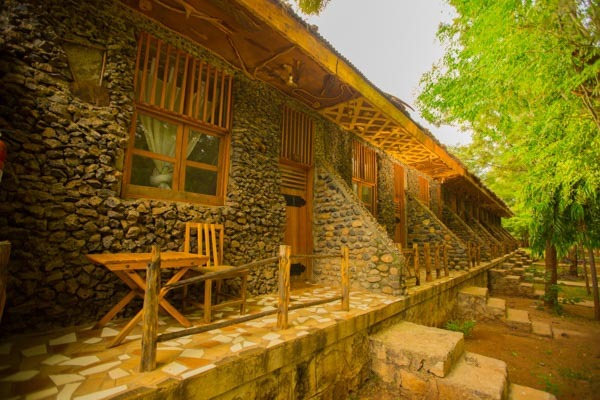 Each suite at Paradise Lodge offers guests the opportunity, experience and privacy of their own bamboo thatched hut built in the traditional Gamo style with the standard of comfort and amenities one can expect at a luxury hotel. 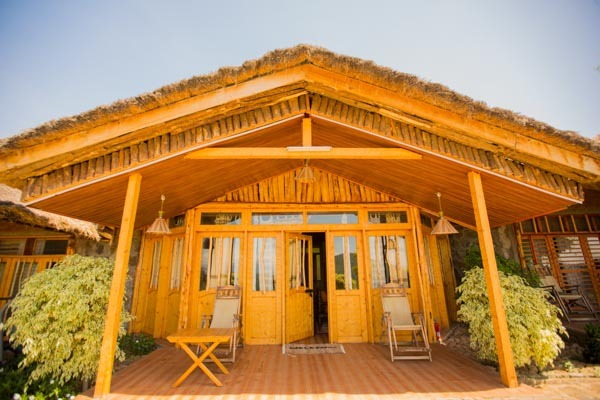 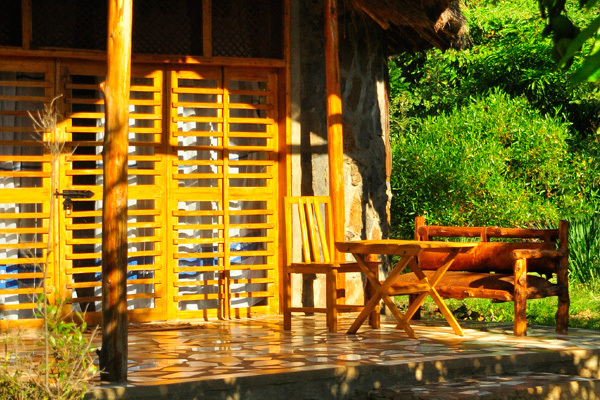 All huts are built with a serene outdoor veranda with either a breathtaking view of the lakes or that are set in the lush gardens of the lodge grounds. 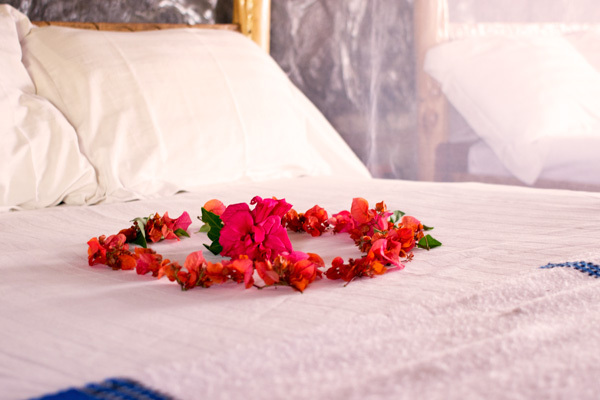 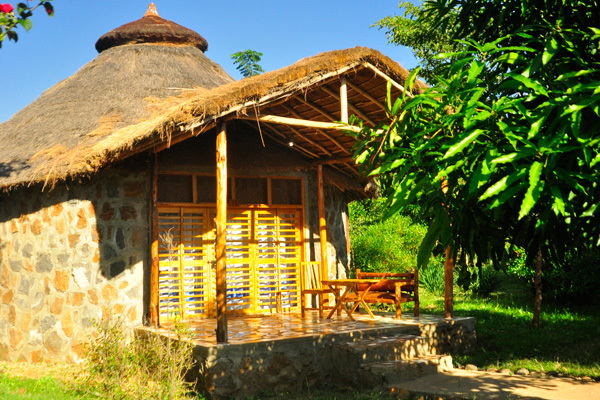 Each hut is also equipped with a bathroom with shower, mosquito net, reading table and a minibar with a complimentary bottle of mineral water. 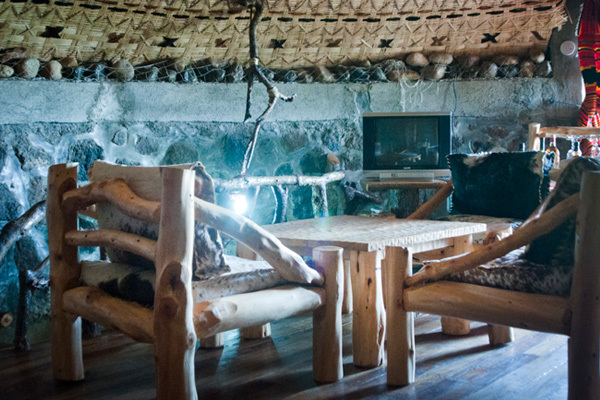 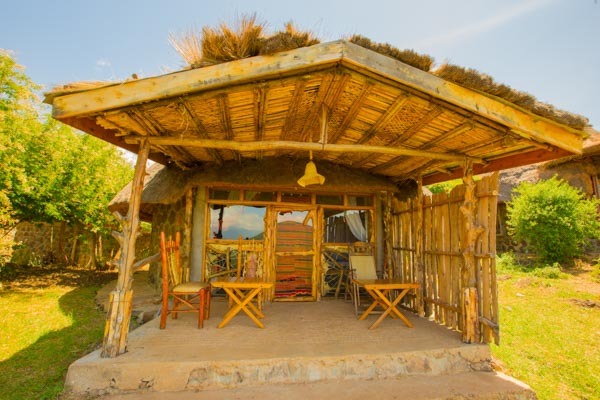 Each hut is also richly furnished with handmade furniture and decorations that embody the cultures of the locals who built them. 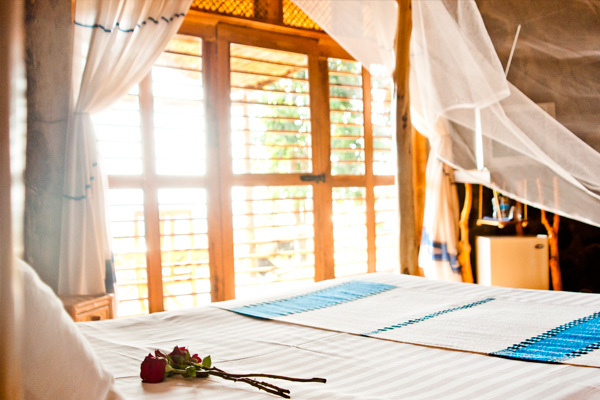 Preferred by solo and budget travellers, the single room makes no compromises in comfort. 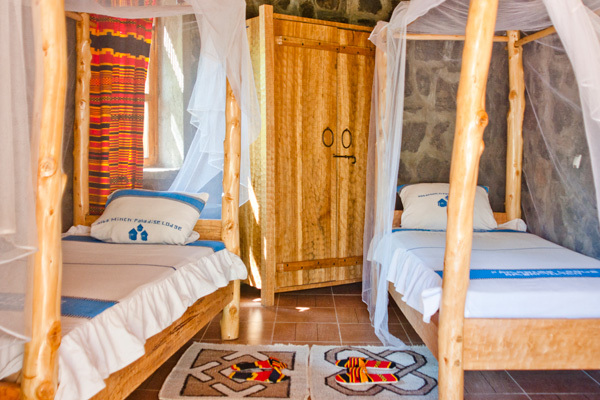 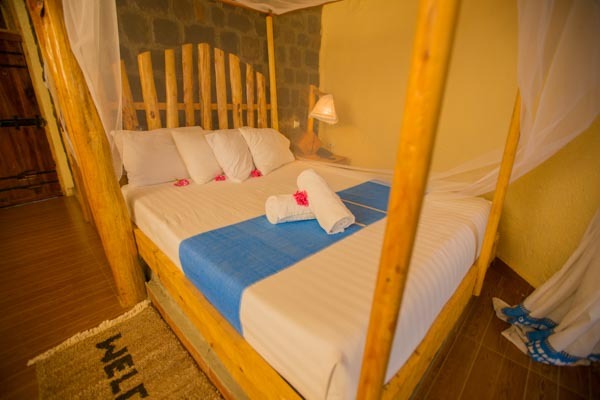 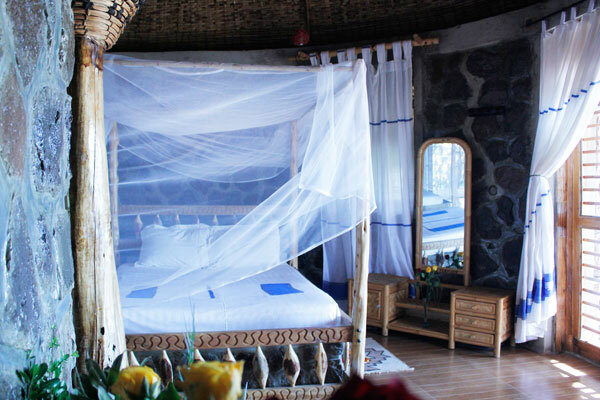 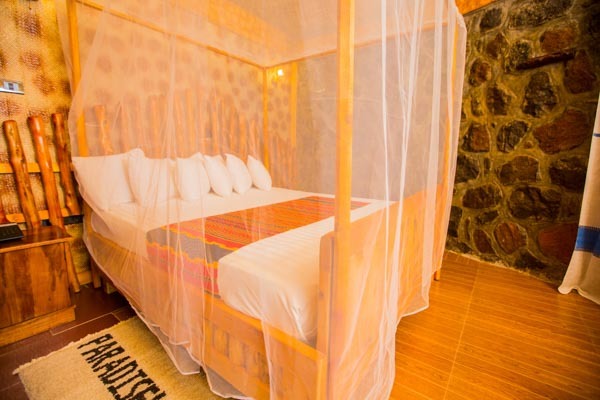 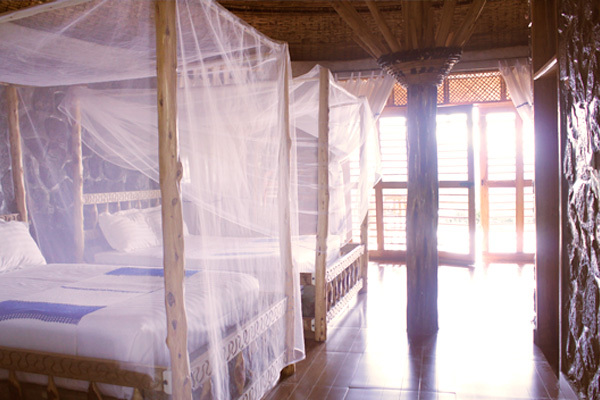 Each contains one twin size bed, a reading table and furniture made from the wood of local Cordia Africana trees. 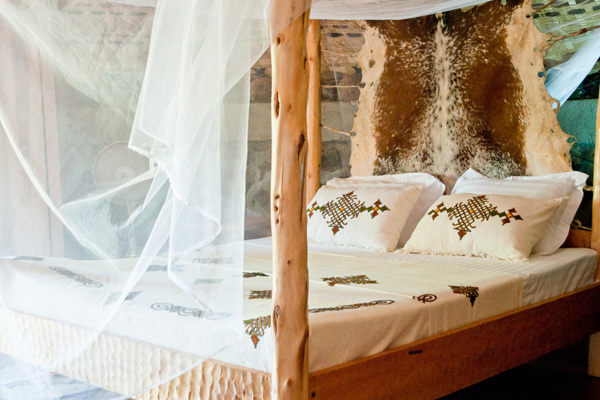 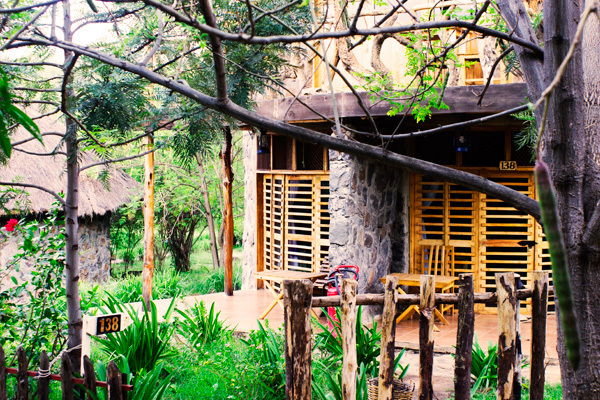 Each Single Room is situated in the peaceful gardens of the lodge. 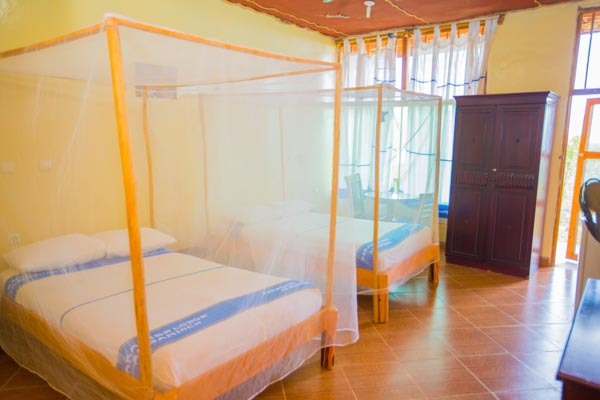 Popular among families and groups, our Twin Suites each feature two standard size beds, a large outdoor veranda and beautiful furniture build from the wood of Cordia Africana. 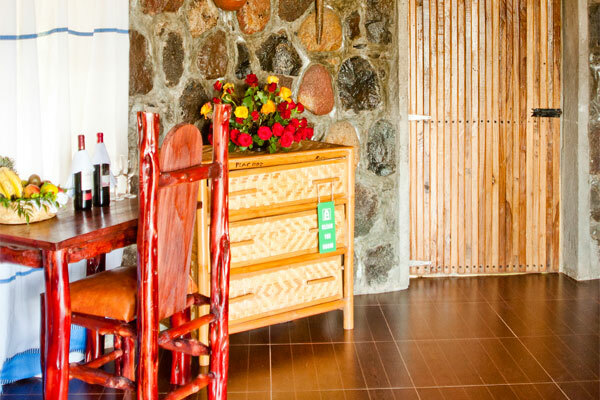 Suites are available in both lake view and garden view. 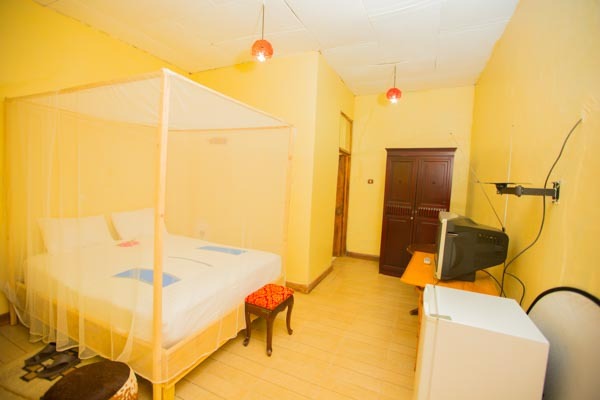 The ideal suite for those travelling as a family. 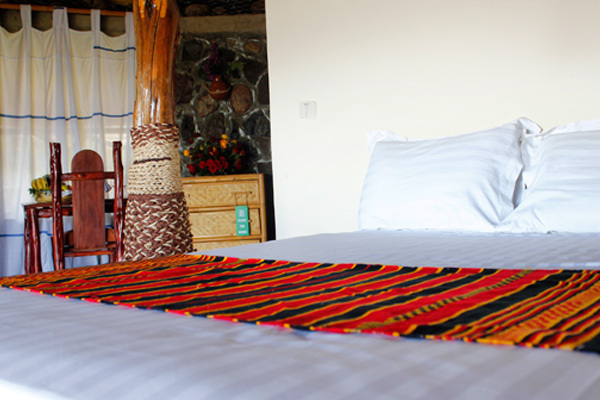 Each Family Room has a combination of a queen size and twin size bed, a view of the lake and space to spend together as a family. 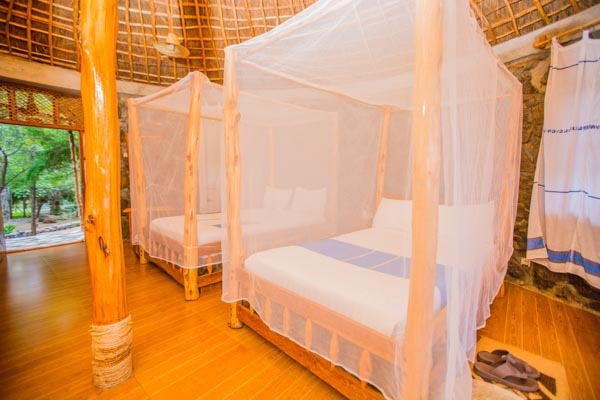 The furniture of each family room is made of the highly renewable wood of bamboo trees. 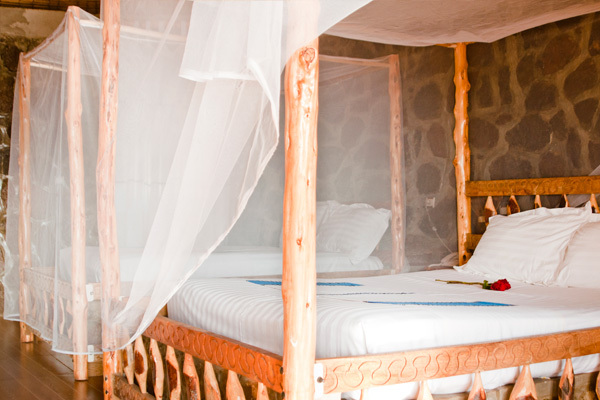 Perfect for honeymoons and romantic getaways, each of our 10 King Size Suites are equipped with one king size bed and furniture made from the wood of local Cordia Africana trees. 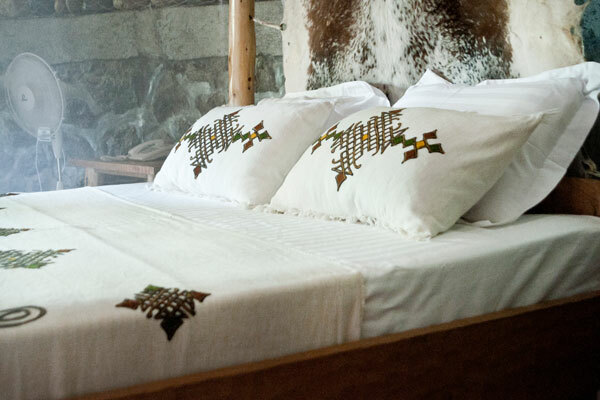 The suite of choice for visiting dignitaries, business leaders and prominent artists — the Presidential Suite is the largest suite at Paradise Lodge. 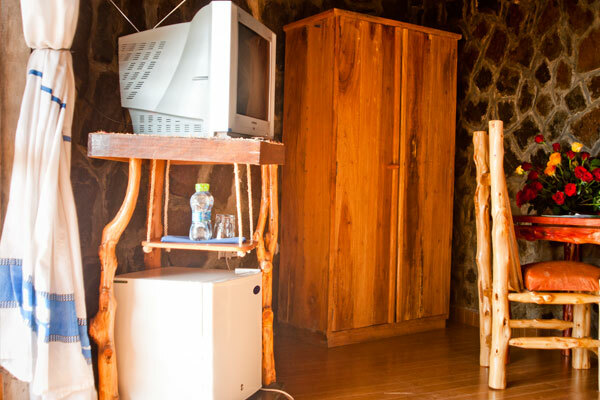 The ground floor includes entrance hall and bedroom with two twin beds. 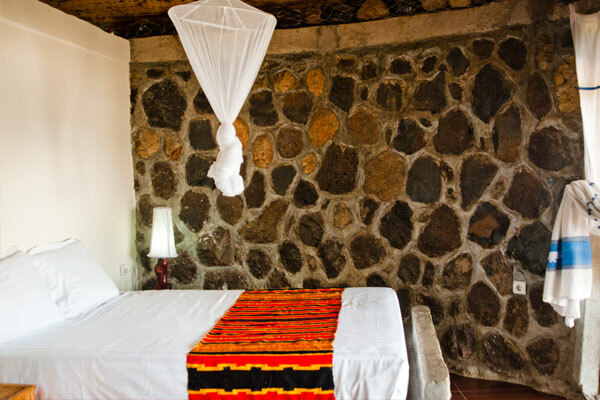 The master bedroom is located on the second floor and includes a king size bed, balcony, and ample space for entertaining guests. 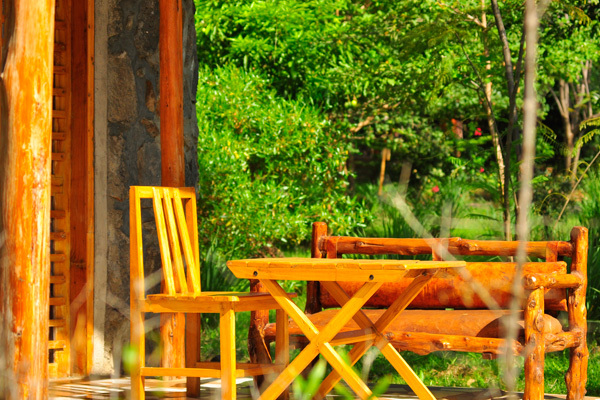 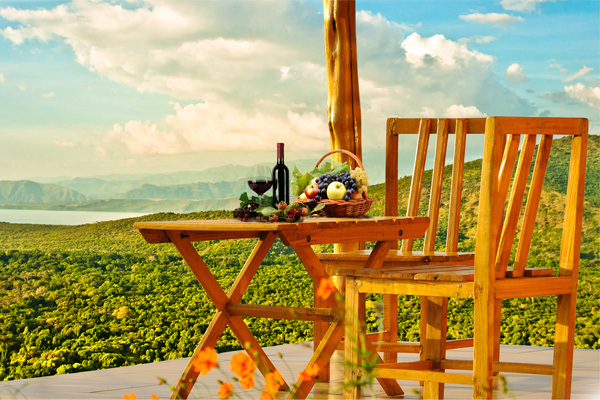 The Presidential Suite has a garden view and furniture made from the local Black Wood tree.